It's no secret that I love musicals. They reflect life in a way that it's difficult to do with any other art form, and they show us pieces of ourselves that we didn't even know were there. But lately, there's been one show in particular that has laid claim to a piece of my heart, and that is the musical Matilda. 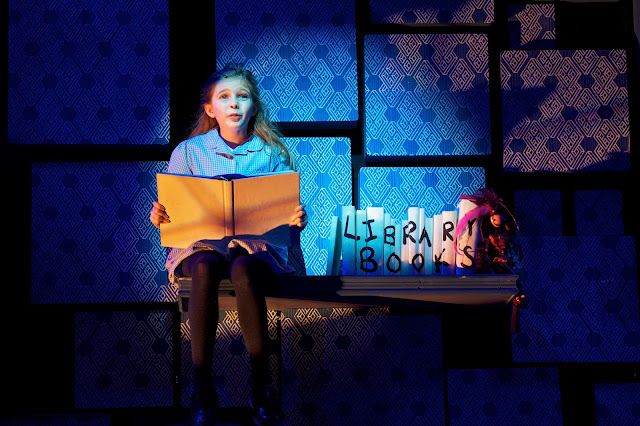 Matilda tells the story of a very special five-year-old girl who loves to read. She devours books. Matilda is extraordinarily intelligent, but her parents believe that she is stupid and that she should probably watch more "telly." When she starts school, she has to devise a way to defeat her headmistress, the evil Miss Trunchbull. She has to learn how to overcome the circumstances of her life and find people that truly care about her. Matilda has incredible inner strength that I think is spectacularly showcased in this story. Ever since I read the book by Roald Dahl last year, it was a story that just wouldn't leave me. There's something so special about this story of a little girl who figures out how to overcome her situation and learns so much along the way. My older brother had recently seen the musical on the New York stage, so we decided to go see the tour whenever it came near enough for us to go to it. Which happened to be... six hours away. We decided we would go, and so that's how we ended up seeing this miracle of a musical. Every life is unbelievably unlikely. The chances of existence, almost infinitely small. The most common thing in life is life, and yet every single life, every new life is a miracle! And it was a miracle. Live musicals are almost electric with their tangible energy filling up the theatre. Watching children and adults dance and sing together to create this beautiful story was one of the best experiences of my life. It was an endless collaboration of pure creativity and fun and heart. Every single one of the cast members was endlessly talented and seemed to be having fun putting on a show for us. Everything about Matilda was mesmerizing. The music, the dancing, the acting, even the costumes and set and lighting design were phenomenal. It was crisp and original and everything I want to see in a musical all rolled into one. It rings with the truths of childhood and adulthood. When I grow up, I will be brave enough to fight the creatures that you have to fight beneath the bed each night to be a grown-up. Matilda speaks about the bravery and hunger and drive that is inside all of us -- we really can make a difference. We may not always be able to change the whole world, but we can influence the people we know -- hopefully for the better. After we saw the musical, we decided to go to the stage door and potentially meet some of the cast of the show. Since it was a tour, not many people made their way back to the stage door, so we were able to talk with some of the actors for awhile. This experience was profoundly moving for me. As someone who loves acting, it was so wonderful to see firsthand that professional performers are really just normal people. One of them asked us what our favorite part of the show was; they thanked us for coming to see it. Seeing the normality in these hard-working and talented performers gave me increased love and joy for the theatre, and I am so grateful for that. 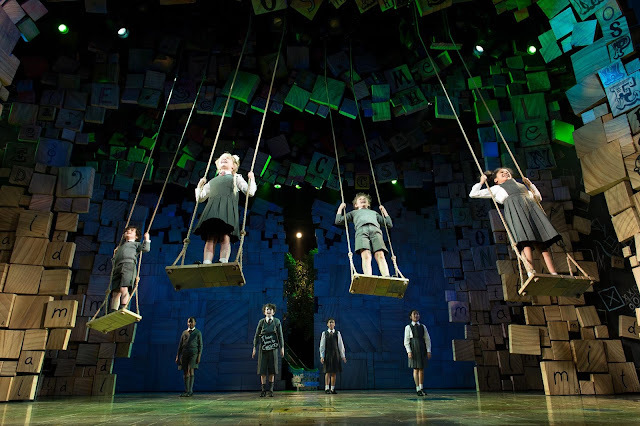 Matilda gave me an experience that we should always have at the theatre -- one of hope and joy and increased thoughtfulness to what is going on around us. There are truths about humans hidden in its delightful sense of fun. It's a tale of courage and action, one that has the capacity to make a change in the lives of people who see it. No matter where we are, no matter who we are, we are not helpless. Even if you're little, you can do a lot! You mustn't let a little thing like 'little' stop you.